The idea of a loft conversion is very appealing to many homeowners. Not only does it boost the value of a property, but it also creates an extra livable space in your home without the stress of moving. 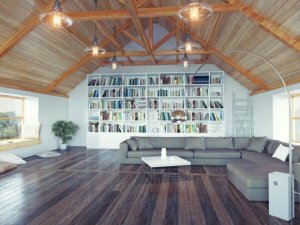 However, you may be wondering if your loft is big enough to undergo this enhancement, and what other aspects you need to consider before converting a smaller loft space. To answer your questions, this month we’re outlining the recommended size guidelines that a loft needs to meet before it’s converted, along with other crucial elements you need to consider. Head Height: This is measured from the top of the ceiling joist and down to the bottom of the timber ridge. To avoid an awkward and cramped space, this should measure no less than 2.2 m. If your loft measures less than this but your heart is still set on a conversion, then you could explore the option of raising the roof. Pitch Angle: This is essentially the angle of the roof, and can reveal important information about the central head height and also the steepness of the roof. Generally anything less than 30 degrees may be difficult to convert. Footprint of the room: This simply means the amount of floor space that you have to work with. It has been suggested that the width between walls should measure at least 5.5 m, and the length should be at least 7.5m. All measurements should be inclusive of the chimney. Not all homes are suitable for a loft conversion. Generally, these builds are are easier to conduct on older houses built before the 1960s, as they still possess a ‘traditional’ roof structure with a larger head height. However, this does not exclude modern houses from the conversion process, and a professional loft conversion company should be able to offer advice on the matter. 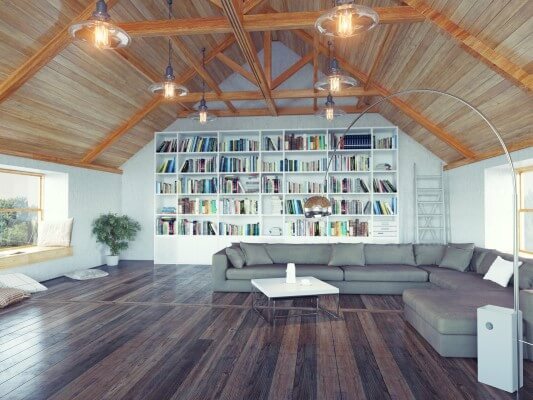 The intended use of your new loft space may influence what size room you require. For example, a bedroom with an ensuite bathroom may require more space than a study area. This should be taken into consideration to avoid ending up with a room that is not fit for purpose. You will also need to think about other elements of the construction that may take up room, such as the need for a staircase leading up to the loft space. New insulation and plumbing system may also need to be installed, along with possible reinforcements of the floor to ensure it can cope with the extra weight. Converting a loft can be a complicated process, and have several stages that require navigation. However, there are many specialist loft conversion companies who can be trusted to offer advice, creation of designs, obtainment of appropriate permission, and the actual construction contractors themselves. These companies’ contributions cannot be undervalued, and they are there to offer a comprehensive service to make sure your project goes as smoothly as possible. For professional and affordable loft conversions, look no further than Kingsmead Conversions. We can provide expert advice, planning and contractors throughout your project, from the design stage through to completion. Our specialist team serves the Bedford, Oxford and Luton areas, and beyond. Get in touch with our friendly team today to find out more.